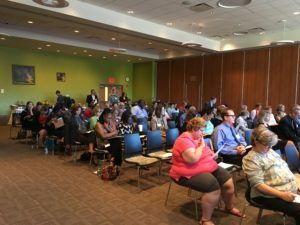 On September 22 in Bridgeport stakeholders from a dozen health, special service and law enforcement sectors came together to explore gaps in Connecticut’s behavioral health delivery and how the state can do more to reach people in need. Expanding patient access to behavioral health care and increased coordination among clinics, physicians, law enforcement and policymakers could dramatically improve the lives of individuals living with mental illness in Connecticut. What actions can Connecticut take to strengthen its community-based mental health system and ensure a robust continuum of care? On August 4, the Connecticut Community Nonprofit Alliance, in partnership with the Behavioral Health + Economics Network (BHECON) led by the National Council for Behavioral Health, hosted a panel of experts across disciplines, who provided a scan of current challenges in access to mental health care in Connecticut, identified barriers that inhibit the delivery of services, and delved into policy changes needed to support a strong system that reaches all individuals at their point of need. 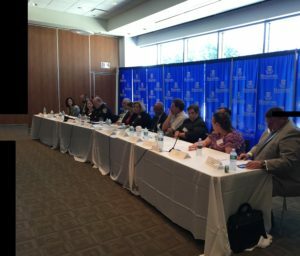 Panelists discussed the merits of community-based care in helping children and youth living with mental illness. Sarah Eagan, a childhood advocate, explained that the state is required to provide specialized services for children living with mental illness or learning disorders, including behavioral/physical health screening and a tailored education program. Yet, all too often, these services fall short. Abby Anderson, Executive Director of the Connecticut Juvenile Justice Alliance, commented that the juvenile justice system is the largest provider of behavioral health care to children and adolescents in the state—demonstrating that there is a lack of easily accessible community-based care for most young people and that policy reforms are needed.